Virtual Rabbids: The Big Ride provides a VR experience that will entertain enthusiasts and first-time users alike. It was created in partnership with pioneering video game developer Ubisoft and features the global powerhouse Rabbids brand in three thrilling experiences suitable for all ages. Employing state-of-the-art technology including a D-Box motion platform, HTC Vive headsets, dynamic wind simulation and hi-fi audio, The Big Ride is an unforgettable experience for guests and a winner with operators. 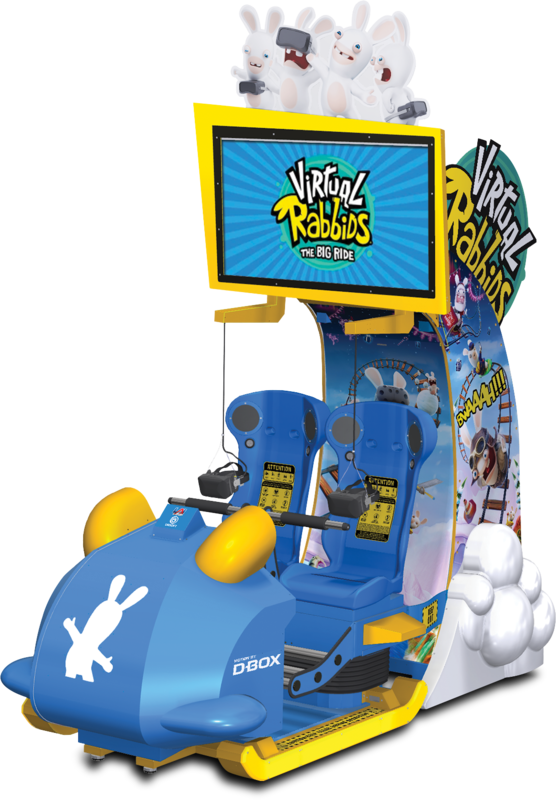 You are invited to try Virtual Rabbids: The Big Ride and the other games for yourself at Amusement Expo Booth #145.